¿En qué consisten estos casos? HappyAir counts on the contribution of its HappyAir Ambassadors. People and Organizations that either have a lung disease, chronic or rare, or simply believe in the importance and value of breathing and what that means for each person with this disease. What it means for a community of individuals with these types of health problems, with chronic disorders or that may be infrequent. 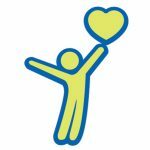 As a HappyAir Ambassador, you can be a person or organization with public visibility in the field or you can have a job outside the scope but want to contribute to a good cause. In both cases, your voice and your image strengthen our cause. The participation and collaboration of our HappyAir Ambassadors helps us reach more people and take us to new places, where we can generate awareness, education, resources and support R & D in this pathology. We can work together on exciting projects, or simply do tasks that are easy to complete, but that make a difference for these patients, who make a difference in these communities and in our society. © Lovexair. Copyright 2018. All rights reserved.